Green initiatives are more common than ever for businesses, especially those in the foodservice world. 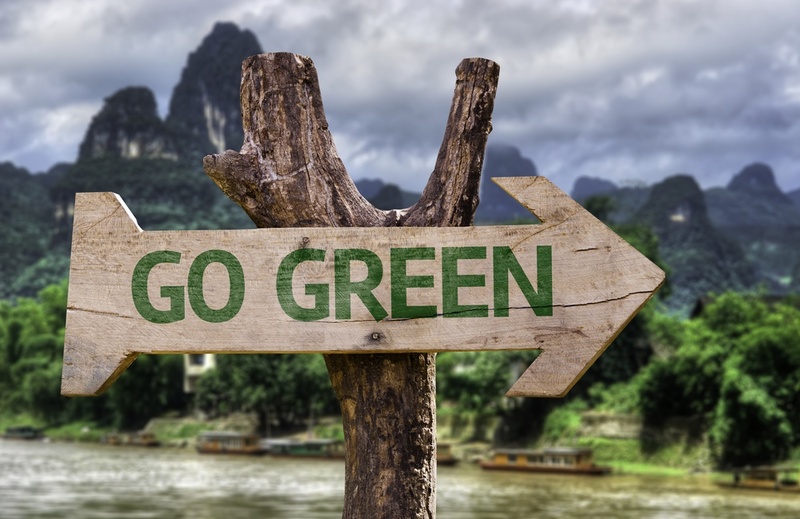 “Going Green” can mean many things, from building design and construction, to sustainably growing food, and even mitigating food waste, all with the goal of reducing environmental impact, lowering energy usage, and saving on energy costs. Another way for foodservice operations to employ green initiatives is through the use of renewable energy. Renewable energy is energy taken from naturally replenishing resources. It can take on several forms, like solar energy, wind power, hydropower, and geothermal power. Renewable energy is commonly used for generating electricity or heating and cooling. While it hasn’t replaced traditional energy sources, renewable energy is quickly becoming cheaper and more efficient than ever before. Why is Renewable Energy Important for Foodservice Operators? The foodservice industry consumes more energy than most other industries, and for good reason. With constant cooking and refrigeration requirements needed to operate, energy consumption comes with the territory. But the utility costs of doing business can really add up. According to Pacific Gas & Electric, inefficient equipment can lead to foodservice businesses wasting up to 80% of the energy they consume. Whether it’s a commercial kitchen’s lighting, exhaust fans, ovens, or refrigeration systems, restaurants, convenience stores, and cafeterias are looking for energy-saving equipment solutions that cut down on costs, while still operating efficiently. Combine that equipment with renewable energy and the energy savings will be staggering. Operators can employ renewable resources through their utility companies, certificates or incentives, and even by generating their own energy. Green Sage Café in Asheville, NC focuses on serving high-quality food to its guests while promoting sustainability and reducing its environmental impact through energy-efficient applications. This is why they decided to implement RDT’s Eco-Cool system in their establishment. Paired with the Eco-Cool, Green Sage Café saw energy savings of 48%. By placing the Eco-Cool unit outside the restaurant, they eliminated 53,856 BTUH of heat, or the equivalent of 4.5 tons of air conditioning. To take their environmentally-conscious mission even further, Green Sage Café took advantage of the Eco-Cool’s ability to capture waste heat and divert it into a heat exchanger that provided heating for the restaurant’s hot water tank. Ultimately, the Eco-Cool accounted for all of the restaurant’s hot water requirements through heat reclamation. By reusing a natural by-product of the refrigeration system, Green Sage Café laid the foundation for even more sustainable elements in their restaurant, including solar panels, energy-efficient dishwashers, and LED lighting. What are some easy ways to start saving energy in your foodservice operation? Find out in our Energy Savings Tips Sheet below.